Another bag for sewing class. 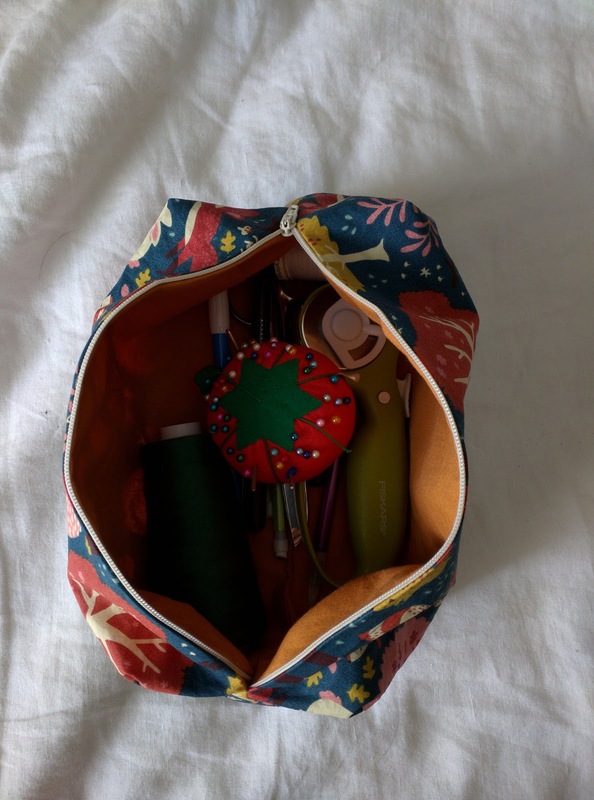 I realized I needed a place to store a ton of sewing and drafting tools - pencils, sharpies, red colored pencils, chalk pen, eraser, tracing wheel, seam ripper, fabric & paper scissors, thread clippers... the list goes on. So a zipper pouch seemed like just the thing. 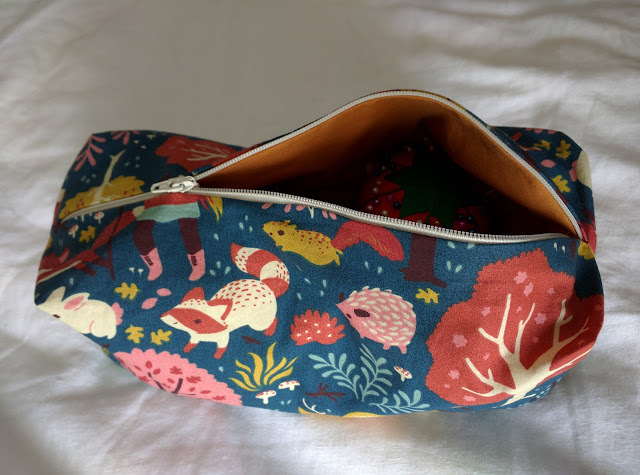 I made this bigger than a typical pencil pouch - I basically sized it to be roomy enough for my large fabric scissors, and everything else fits beautifully. I found a tutorial online to make a boxy one, rather than a flat rectangle, and I modified it a bit. I did some math to figure out how much of the length I would lose in the box shape and made my initial rectangles large enough that my scissors would still fit. 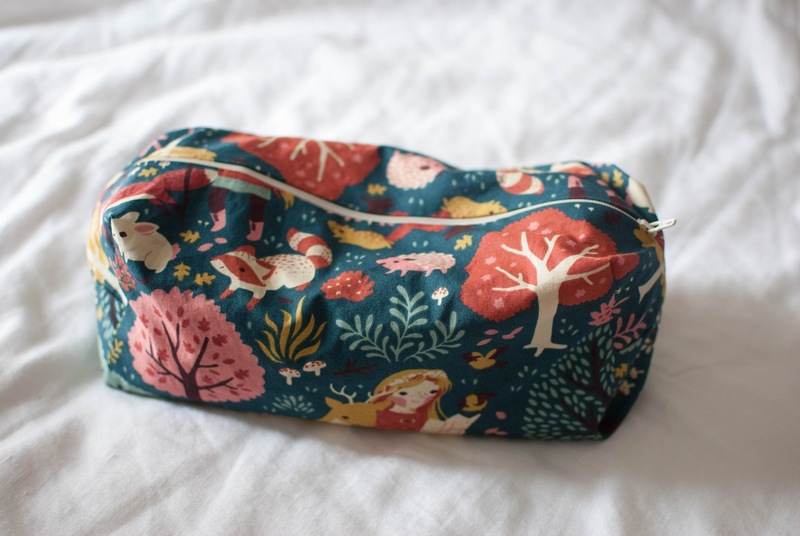 I think I even traced it out of pattern paper so I can recreate the same pouch in the future if I need another. 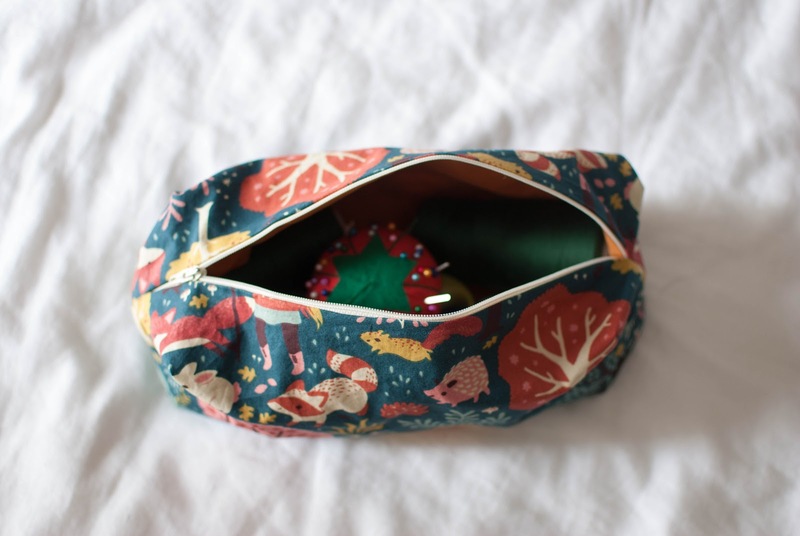 I also sewed the outside and lining separate from each other so that there are no raw edges on the inside. This basically involved attaching the zipper as in the tutorial, and then instead of sewing one seam across both fabrics to create the bottom, I created one inside-out pouch, seams showing, on either side of the zipper (see below). 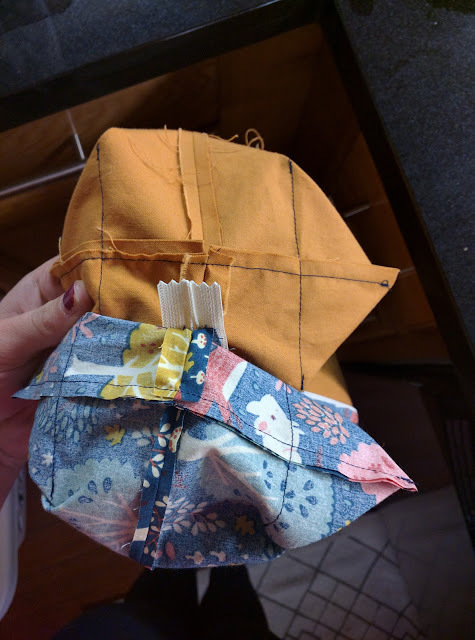 I left an opening in the bottom seam of the lining fabric until everything else was finished, and then I flipped the whole bag through the hole, which was super fun. So fun that I made Tim take a video of it. This fabric is one that I saw on instagram back when I very first started sewing, and I needed it. It's from Birch Fabrics, but all of the normal retailers had sold out and I snatched up the few yards I could find on Etsy. I had planned to make a Megan Dress with it, and then I made a Megan Dress and wasn't in love with the dress on me, and then I started questioning my ability to wear such a loud print on my body, and then before I knew it the fabric had been sitting there for a year. So I decided at the very least I could make something I'd see once a week, and I can still make something for myself with the rest if I get over my decision paralysis. The lining is a nice golden yellow cotton that I had left over from one of my many Clemence skirts. 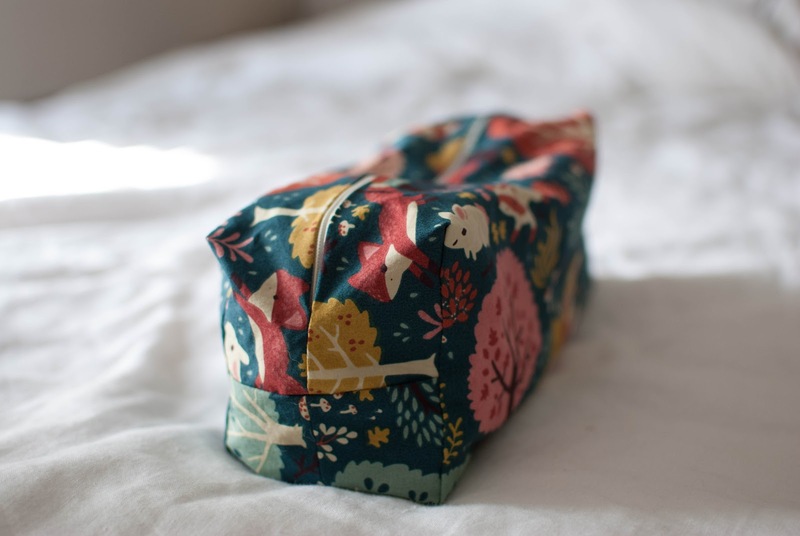 Even with the enclosed seams fanciness, this was a really quick sew and so useful. Hooray for instant gratification sewing projects! !